When is the last time you coached a successful hurdler? 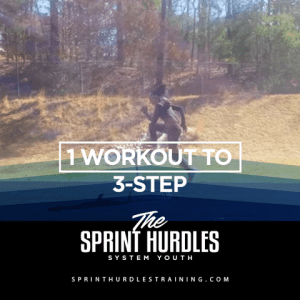 Are you having trouble getting your beginning hurdlers to 3-step? Here are three drills that will get you headed in the right direction with your hurdlers. 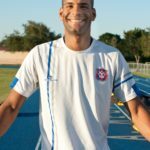 Hello, my name is Hector Cotto, and I am a Track & Field coach specializing in the sprint-hurdles. I was once a star athlete myself. I ran 7.46s in the 55h as a senior earned myself a college scholarship and rode that success all the way to the Olympic Games. Now my only objective is to teach thousands how to hurdle so that I can see a day when it takes 13.99s to make the Conference Final. It is my firm belief that every single city in the USA has at least 10 athletes that can run 13.99 seconds in the 110m hurdles. No need to debate whether you think it can be done, instead I will get to work on showing you the many many ways you can improve this week. What will the Cycle Drill do for your hurdlers? build confidence in clearing hurdles. Once the athlete can 3 step those four, remove the fists hurdle and place one at the end that is 19ft apart. Continue removing the first hurdle (once the can 3 step all four) and adding one at the end that is 2ft further apart than the previous hurdle. Continue in this fashion until you have the hurdles race distance apart. The YouTube videos below have audio, so please make sure that your volume is turned up and that you have access to the site. Note some schools block access to YouTube.